Hello Friends My Name is M Abdul Wahab. i am from Pakistan. 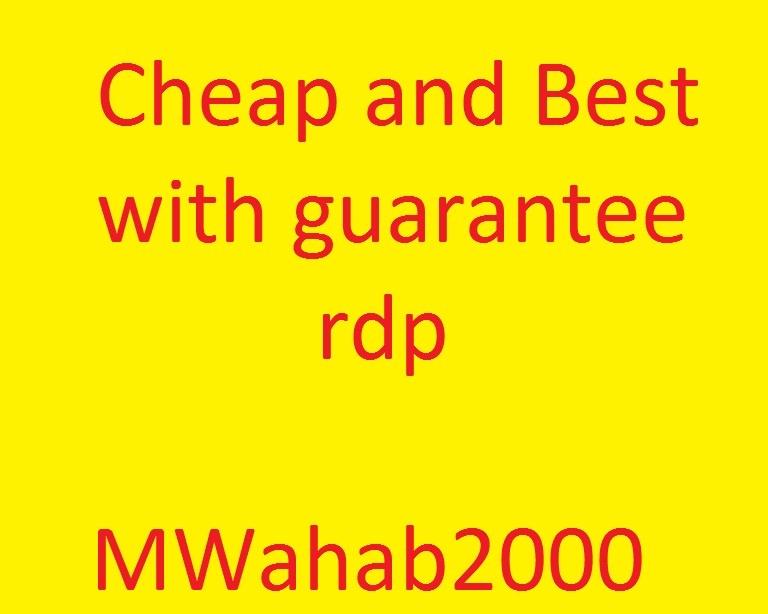 i am selling rdps on Seoclerks With Guarantee. 1 GB Ram with 25 GB SSD Hard Disk Also Renewable Different Country Rdp Available is ranked 5 out of 5. Based on 1 user reviews.